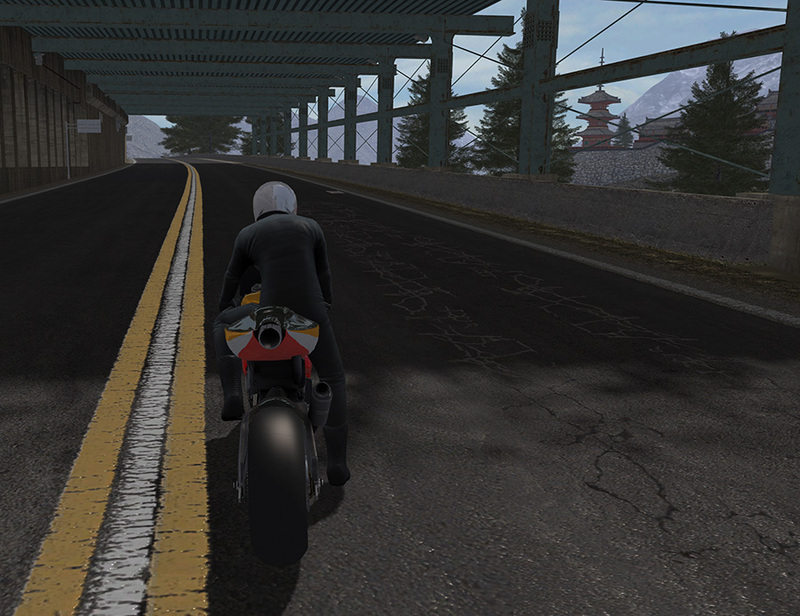 Is it possible to make a transparent texture receive shadows when compiling with shadow volumes to build the track and in-game when the bike shadow passes over them? Just tried DECAL_ and it appears to work although I am pretty sure I tried it in the past without success, was this fixed in a recent beta? DECAL_'s not working right for me. ....but it's not as dark as the shadow on the bare track beside the decals. It looks kinda like the track under the decal is receiving the shadow and a little bit of shadow is bleeding back out through the decal. Which convertor are you using these days h? Was just wondering if I should try the MAX exporter. No joy with the MAX plugin either. Just the same - a kinda half-darkness shadow from the bike. ...and no shadow at all on the decal from terrain and buildings. ...which is the worst bit about the problem really. Where the track itself is in shade the decals aren't and they stand out like they're luminous. Tried the track in B14(just on the offchance) but it was the same as B13. Tried SHAD_CLINES i.e. using the prefix as an actual prefix - clines just being a random layer name. Tried all of the above through both FBX2EDF and the MAX exporter. None of them are working for me. I think some of these things are hit and miss, in that sometimes they work when exported/converted and other times they don't, and considering the time it takes to do an export/convert it's a serious pain in the arse for modders when it screws something up like this cause you've then got to start the process all over again and hope that it will do the job..... That's serious time-wasting in the extreme. It would help when Piboso finally does service the tools for Pib to implement information in a processing window to show the user exactly what the exporter/converter is doing at any particular time and if it was successful in each of it's operations at each stage, as well as a full export/conversion progress bar too. This is just one of the reasons I got onto Piboso about sorting his tools out.... They seriously need a good servicing to make sure that everything works as it should reliably during the export/convert processes - both the FBX converter and the 3ds Max converter; but as I understand it, the 3dsmax exporter is more updated than the FBX converter right now? So the latest 3dsmax exporter is the one to use if you can I think? Know what you mean about the conversion time adding to the frustration. Trying to sort the flickering signs at Knockhill had me yelling at the computer. Conversion time for Okutama is about 12 hours. 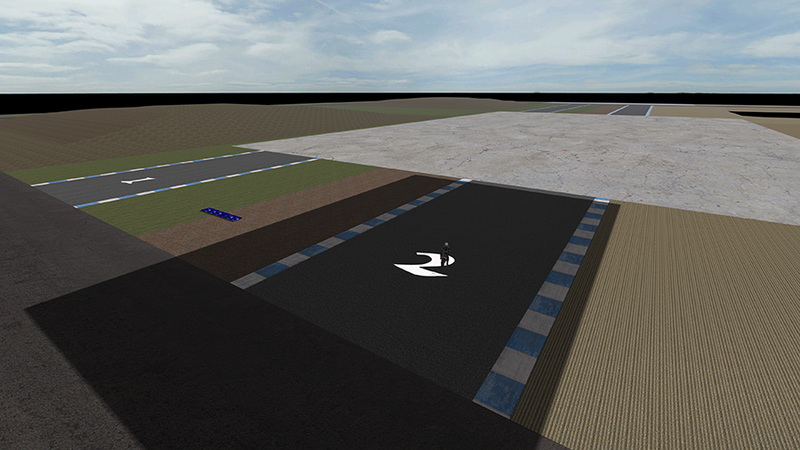 ...so I added a shade source to the little test area that I made last week and have been trying things on it instead. It already had some numbers painted on the tracks to remind me which skin was where..
...and only takes a couple of minutes to take from Lightwave to GPB. But nothing. Can't get the numbers to catch a shadow from either the shadow source or the bike. 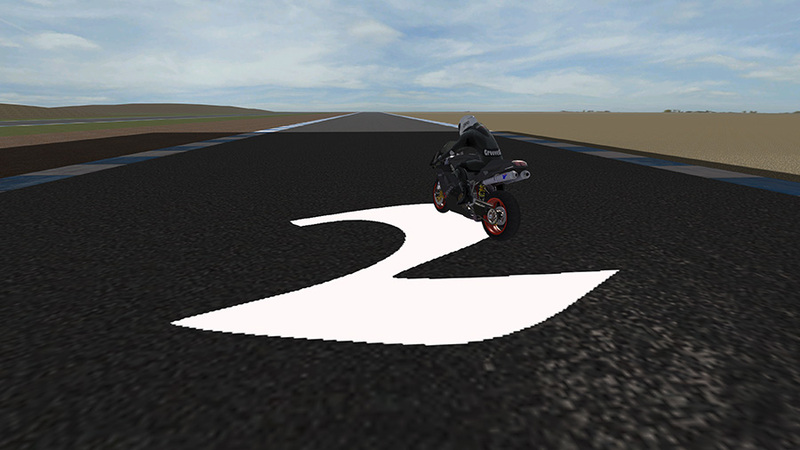 The same model with compiled shadows, the transparent layer no longer recieve bike shadows or shadows cast from track objects.